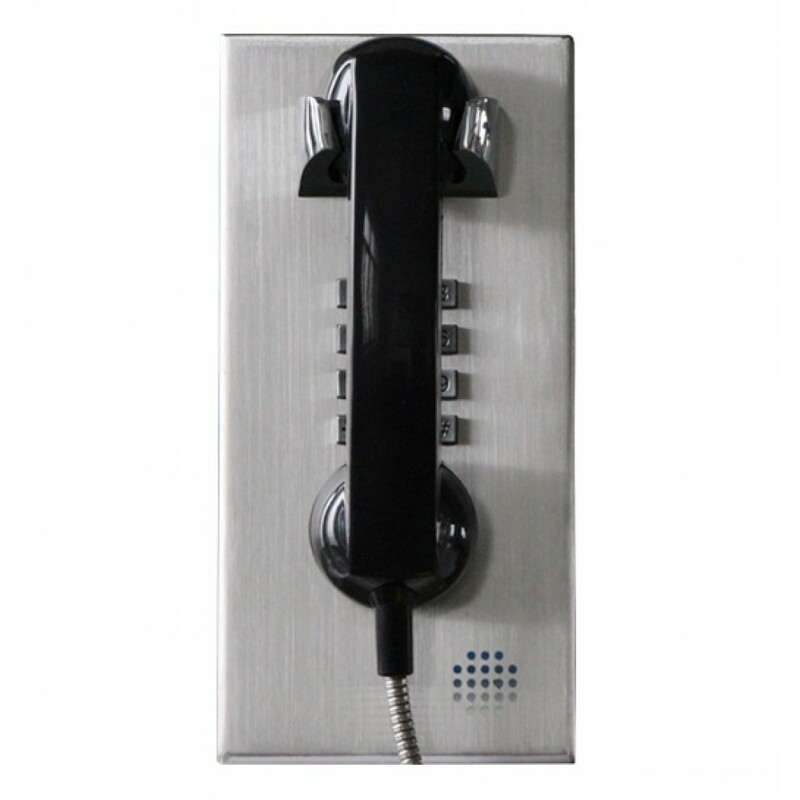 This phone is a top rated quality wall-mounted telephone handset made up with stainless steel housing, zinc allow keypad, die-cast zinc hook, PC handset and double-sided integrated circuit board. 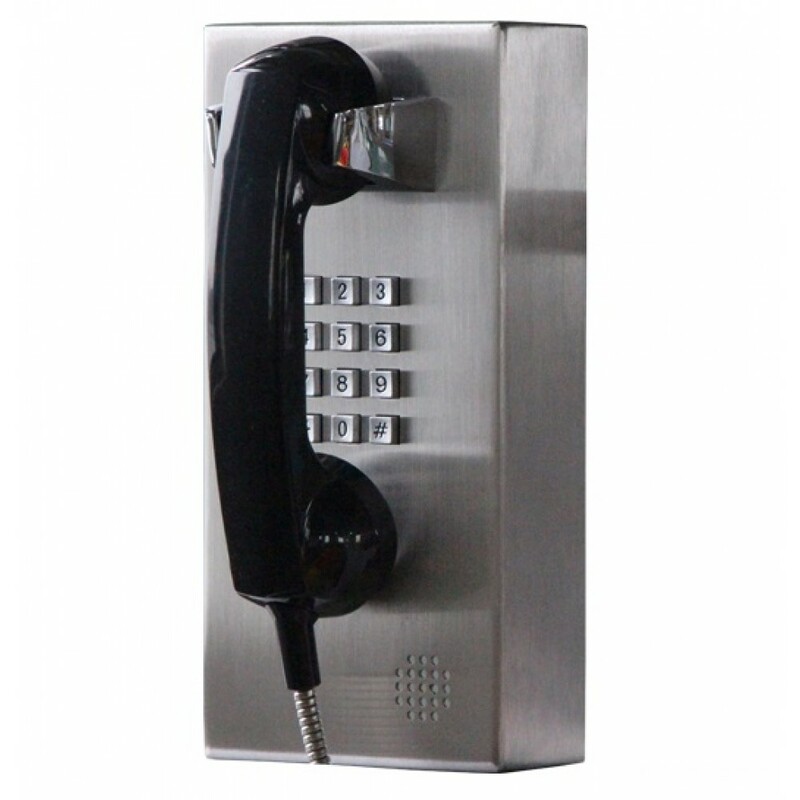 Normal dialing using keypad – provide local or long distance phone services in public or private areas such as lobbies, halls, phone booths, prisons, etc. Intercom - use the auto dial feature to provide point-to-point communication. 1. Supports two (2) operation modes: Normal dialing using keypad or auto dial when number is programmed to work when off-hook. 2. Stainless steel housing, high mechanical strength, strong impact. 3. 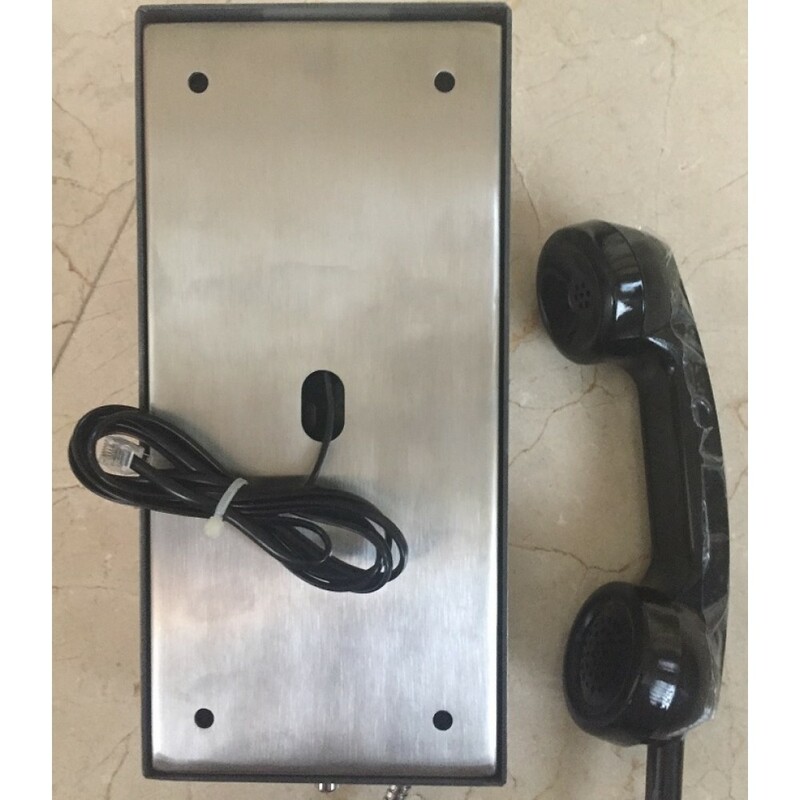 The phone can be used as an independent or integrated telephone communication system with program-controlled switches and couplers. 4. 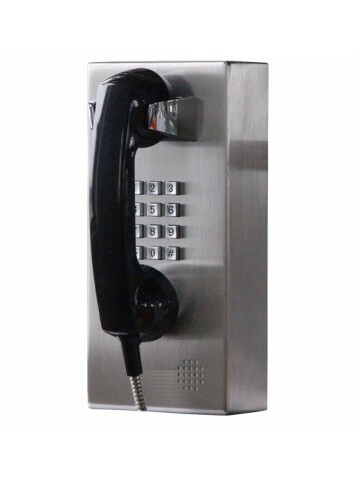 It must be used with a PBX or an analog landline (VoIP is not supported). 5. Top rated anti-noise and voice clarity regardless of distance & number of extensions. 6. Each phone features redundancy and independent operation. The malfunction of any other phone doesn’t affect when installed within the same line or extension. 7. 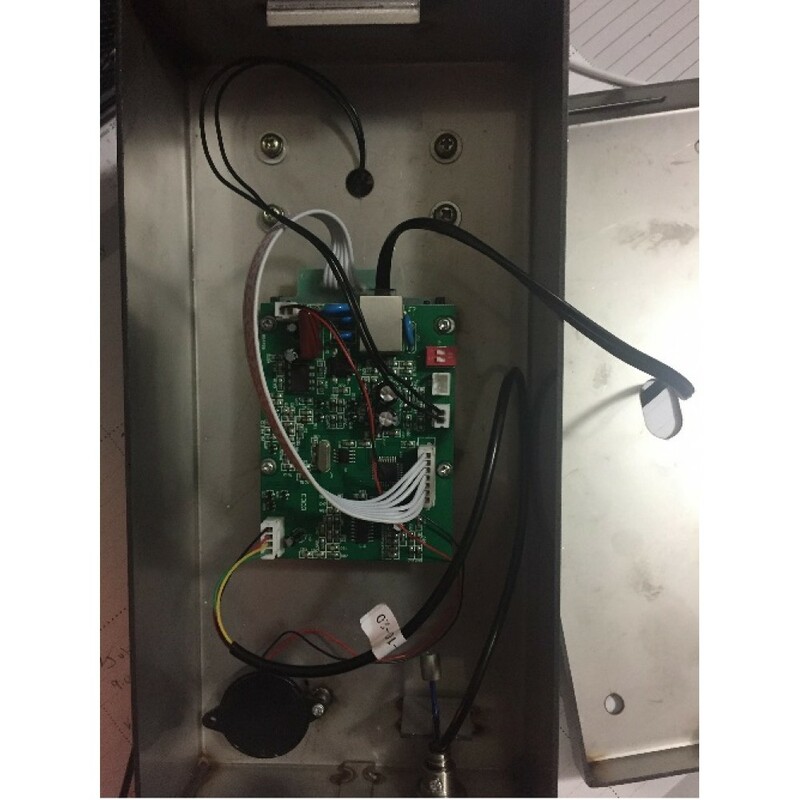 This device has an automatic gain function for the voice quality to prevent degradation over distance or number of extensions used. 8. Strict quality control guidelines during assembly of all components. It uses quality double-sided integrated circuit design and materials. 1) Normal dialing: If there is no programmed number, the caller takes off-hook, and dials a number (local or long distance as set). The called party hears ringing → pick up the handset to answer the call, both sides under normal conversation. At the end of the call, hang back the handset. 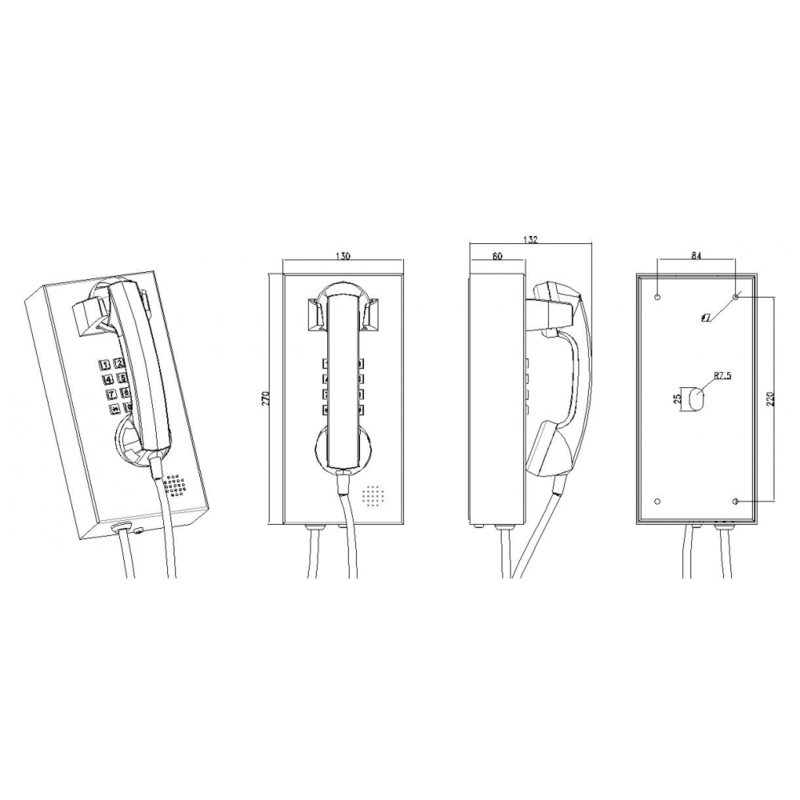 2) Automatic dialing / point-to-point intercom / hot dialer: If there’s a programmed number, the phone will auto dial it when caller takes the handset off-hook.